Housed in the former Seminary in Bayeux since 1983, the Bayeux Tapestry is now the focus of a project to create a new setting for its display to the public. This project aims to complement visitors’ viewing of the work itself with a real centre for understanding Middle Ages Europe. Above all, the objective is to improve the conditions under which it is conserved and displayed. At the initiative of the Normandy Regional Directorate for Cultural Affairs, the City of Bayeux, the Calvados Département Council and the Normandy Region, this project has been in development since 2013 with an international scientific committee bringing together conservation and restoration specialists, historians and art historians, and experts in digital development. The project comprises a complete re-design of the existing museum which will benefit notably from additional space, thanks to the relocation of the city’s library. In addition to improving the conditions under which the Tapestry is conserved and displayed, one of the aims is to enrich the experience of the visitors who come to see this centrepiece of our heritage, listed on the UNESCO Memory of the World Register. 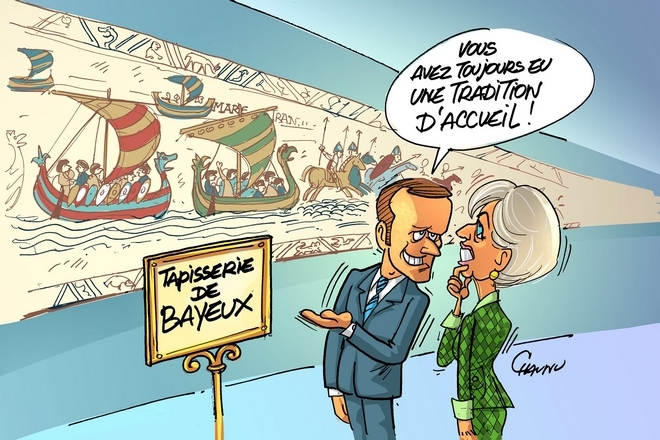 The future Bayeux Tapestry Museum project consists of two parts – the architectural and museographical components for which the City has responsibility, and the conservation/restoration components for which the State, as owner of the work, is responsible. The two parts will be carried out in parallel and in close collaboration. The first phase 2016-2022 is devoted to the various studies to be carried out on the artefact itself, how it will be displayed, and enriching the museographical content (scientific research, programming studies, architectural design). The next phase 2023-2024 will involve building and installation work, and programmes to analyse and/or restore the artefact if required. For the time being, and at least until 2020, the museum plans to remain open to the public. The project also has an innovative digital component, to be built by the University of Caen and managed by the Human Sciences Research Centre (MRSH), which is the creation of a Geospatial Information System (a collaboration between the State, the City of Bayeux, University of Caen and the national scientific research centre, or CNRS). The idea is to create a common set of references in terms of imagery and documentation for scientific study of the Bayeux Tapestry. In the future this tool could be made accessible to the public. (Photo La Fabrique de patrimoines en Normandie / A.Cazin & G.Debout / CC by-nc-sa, 2017). 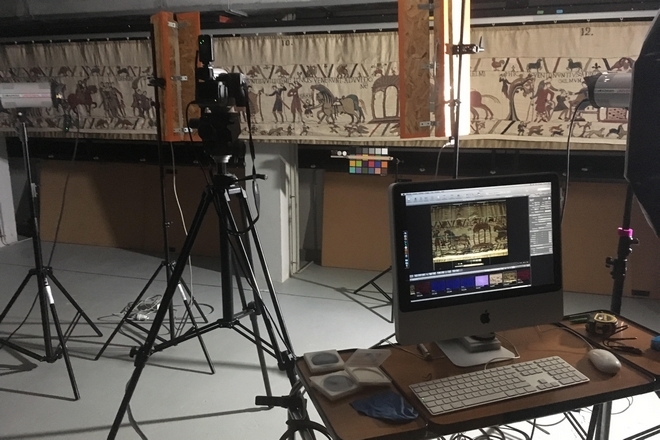 The creation of digitised imagery for the Bayeux Tapestry is not intended to replace direct access by the public to the original work in the future museum.